Disney offers the magic of a memorable vacation experience, and the faithful who love to visit the Disney parks on an annual basis have a wonderful opportunity through the Disney Vacation Club (DVC) timeshare program. Many visitors have heard of the advantages of the Vacation Club, but what they may not understand are the significant savings available through purchasing a DVC resale on the secondary market from an existing owner. Disney Vacation Club offers different promotions and incentives for membership based on the availability at certain properties and the current market value. While it's nice to get a few bonus points, or score a few FastPasses during your vacation, the financial benefits of buying a DVC resale can offer savings of $5 to $40 per point. The standard membership package starts at 160 points. With resale, you have the option to buy packages for less than 160 points, which provides more flexibility with your budget or your future vacation needs in terms of point requirements. With different resale options constantly appearing online, there are points to suit your family's needs better than ever before. 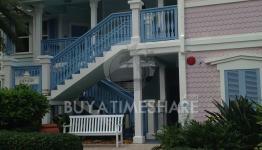 One of the benefits of Disney Vacation Club resale is the variety and availability of the units. Some of the first DVC properties offer the largest rooms on property and were recently refurbished but aren't currently available for purchase directly through DVC. A Disney resale offers original owners the ability to put their property on the market and allows you the chance to benefit from ownership of the original properties without having been one of the original members. These properties also have the lowest annual dues as your "home resort" but you can still use your points to stay at any DVC property. Disney Vacation Club resale isn't restricted by the current market or availability and offers a wider variety of Disney villa properties for sale. There are currently eight Disney Villa properties at Walt Disney World in Orlando that offer value in a deluxe setting, square footage beyond what you could find in a standard resort room and accommodations with amenities beyond compare. New properties include the luxurious 21 acre oceanfront resort Aulani, in Ko'Olina, Hawaii. Aulani features white sand beaches, a salt water lagoon, water features, gorgeous gardens, an 18,000 square foot spa and the Waikolohe Valley pool and water activity area. Additional DVC properties in Hilton Head, SC and Vero Beach, FL offer a variety of vacation options for your family as you relax at a seaside resort. 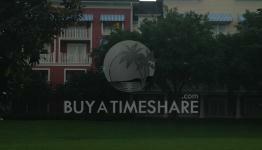 Each Disney timeshare resale has its own theme and appeal and offers a variety of room types at each property. Whether you're looking for a cozy studio or a 3-bedroom Grand Villa, a DVC resort can meet your family's unique needs. Spacious villas offer amenities that make you feel like you're at your home away from home. Whether it's the kitchen you can't live without or the convenience of having a private washer and dryer right at your fingertips, each unit has those little extras you always wish you had at your standard resort. Regardless of whether your needs involve space, features or price, a Disney DVC resale villa can satisfy your vacation dream. 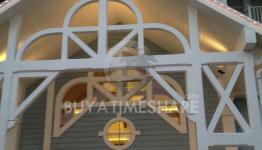 DVC properties include dining, recreation and shopping, plus wonderful spa and fitness facilities. And in the Disney tradition, the Disney Kid's Club offers parents the chance to sneak away for some alone time while knowing their children are under the watchful care of resort staff. Enjoy the flexibility that DVC membership offers with the structured point system, as opposed to being forced into pre-planning your annual vacation at the same property, at the same time every year. Benefit from being "on property" at a Disney resort with complimentary transportation to the parks, package delivery service, and extra magical hours in the parks but with additional comfort. Buying resale will give you choices in price, depending on the owner's willingness to negotiate and various properties which become available as family vacation needs change over the years. If the theme parks are where your heart lies, you'll be happy to know that DVC members also receive discounts on annual park passes, dining and more. If, like some families, ownership is no longer for you, you can always resell your property since circumstances can change, finances can be in flux or your family schedule may no longer allow for those annual getaways. Look into buying DVC points for your next stay to experience the "home away from home" magic for yourself!